Continuing to remain as one of the most popular destination among Indians travelling abroad, Destination Germany witnessed 921,123 visitors overnights in 2018 making for a 8.1 per cent growth in comparison to 2017. 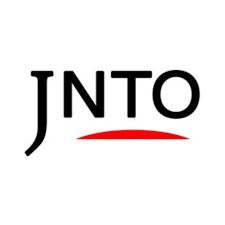 Owing to the steady growth, the German National Tourist Office (GNTO), India forecasts a 6-8 per cent growth in visitor overnights in 2019. 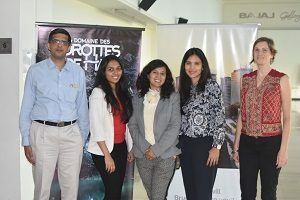 With experiential travel becoming the most sought after genere in leisure travel, GNTO will promote the destination with the core theme and worldwide campaign on ‘100 years of Bauhaus’, as part of the centenary celebration of foundation of legendary Bauhaus movement in Weimar,” said Romit Theophilus, Director, German National Tourist Office, India. The famous Bauhaus art school opened in Weimar in 1919, and during its short lifespan, it moved to Dessau and then to Germany. “With more and more travellers visiting Germany, we want to promote the country as a stand-alone travel destination. We are looking to focus more leisure segment than business. Northern Germany is still unexplored by the Indian travellers, so we want more and more Indian travellers to go and experience Germany in a new way,” further said Theophilus. 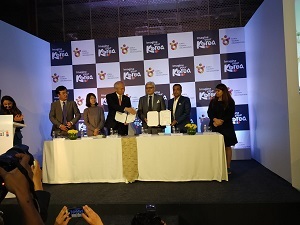 The Korea Tourism Organisation (KTO) has signed an MoU with the Outbound Tour Operators Association of India (OTOAI) to boost outbound traffic numbers from India to South Korea with a special focus on MICE. With this MoU, OTOAI will prioritise South Korea as a focus country for 2019. This took place on the sidelines of Tourism Travel Mart being held in Mumbai. Nine DMCs and four regional tourism organisations were participating in the mart apart from Korea Film Commission and Seoul Film Commission. Foreign tourist arrival in the Philippines continues to increase, with Indian arrivals in the archipelago witnessing a double-digit growth. 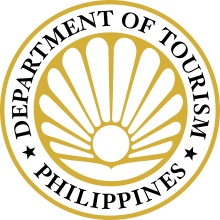 According to an official statement by Department of Tourism (DOT), Philippines received 26,189 Indian tourists between January and February 2019, resulting in a 13.6 per cent growth. At least 1.49 million foreign tourists have visited the Philippines over the first two months of 2019. 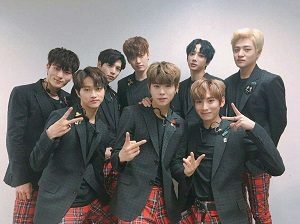 South Korea continued to be the top market for Philippines in the number of tourist arrivals, with a jump of 1.72 per cent from the same period in 2018. Tourism Australia has recorded Indian arrivals to Australia for the year-ended December 2018 that stood at 357,700 – a growth of 18 per cent over the previous year. India once again was named as the fastest growing inbound market for Australia. During the year-ended December 2018, Indian tourists spent A$ 1.7 bn (approx. Rs 8,300 crore) on their Australia trips, a growth of 21 per cent over the previous year. In fact, 2018 was the fifth consecutive year of double-digit growth, with arrivals and spend growing at a CAGR of 16 per cent and 19 per cent respectively over the 5-year period. Destination DC, the official destination marketing organisation for Washington DC, organised three-city sales mission in Mumbai, Ahmedabad and Delhi. Connecting with over 300 travel partners in the three cities, the organisation shared plans to promote the new tourism developments and unique offerings of the District. “With a 32 percent increase in visitation, India has proven to be one of our most successful growth markets, ranking fourth globally. We see immense potential among Indian travellers. Through this roadshow, we aim to establish strong partnerships and continue to market not only the key attractions in the city, but also its dynamic neighborhoods that reflect the ‘DC Cool’ brand,” said Mr. Elliott L. Ferguson, II, president and CEO of Destination DC. In 2017, Washington DC welcomed 135,000 visitors making India as the 4th largest overseas market for the destination. From 2015 to 2017, visitation to DC increased by 67 per cent. The National Cherry Blossom Festival (held from March 20 – April 14) was the theme of the sales mission. More than 1.5 million visitors descend upon Washington, DC every year to admire the 3,000 cherry blossom trees in full bloom. With $11.2 billion in development underway. 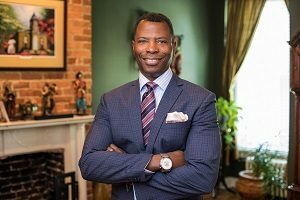 There are 18 hotels in the pipeline adding 3,987 rooms to the city, including recently opened Conrad Washington, DC and Hilton Washington DC National Mall, anticipated to open in April 2019. The International Spy Museum moves to L’Enfant Plaza on May 12 and the Washington Monument reopens this spring. The Smithsonian National Museum of Natural History’s “Fossil Hall” reopens in June. As per the latest statistics, Bahrain Tourism & Exhibitions Authority (BTEA) witnessed a 43 per cent jump in tourist arrivals from India in 2018. The revenue generated was 80 per cent higher than 2017. 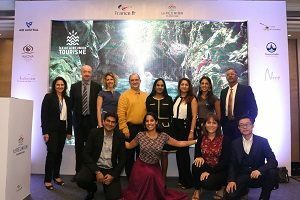 Bahrain Tourism has had its presence in India since January 2017 and has been aggressively promoting the destination in the market. 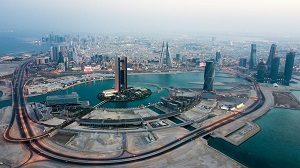 Over the last few years, Bahrain has also emerged as a prime wedding destination due to various offerings like the short flying time from India which is below four hours, the number of five-star international chain of hotel options and a variety of venues. The Kingdom has infrastructure ready with convention centers, accommodation facilities and scenic locations that are capable to host small, intimate to large events. Bahrain is also building a new state of the art exhibition and convention center that will have 10 exhibiting halls with a total 95,000 sqm. and a conference hall that can house 4,000 people. In order to increase tourist arrivals, Bahrain is going to launch world’s largest underwater theme park, covering an area of over 100,000 square meters. The ecofriendly project will be undertaken in partnership with the Supreme Council for Environment, Bahrain Tourism and Exhibitions Authority (BTEA), and the private sector. This is in line with the BTEA’s strategy to promote the MICE and wedding sector and further develop the country’s tourism sector under the slogan of ‘Ours.Yours.’, which contributes towards Bahrain’s economy and the 2030 Economic Vision.